238 pages | 1 B/W Illus. 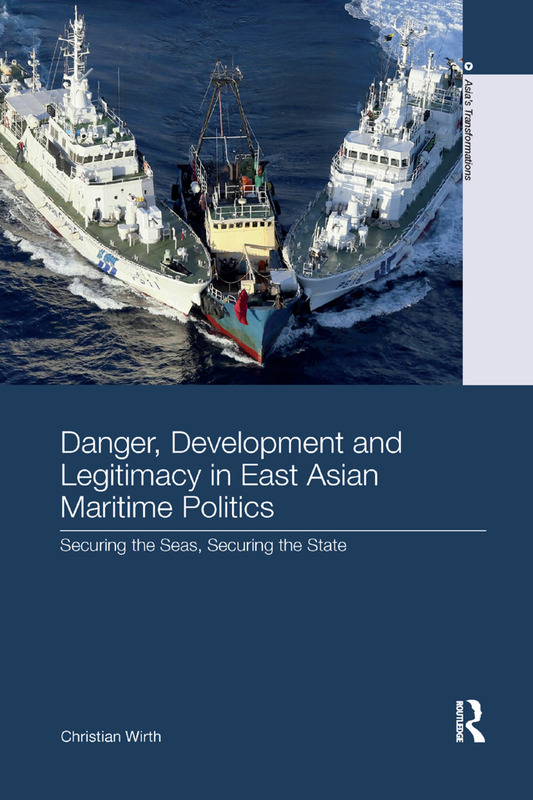 Grounded in extensive empirical research, Danger, Development and Legitimacy in East Asian Maritime Politics addresses the major issues of geopolitics in the region that have been and will continue to shape the international politics of the Asia-Pacific for years to come. Covering the nation-states of China, Japan and South Korea, it includes an examination of the key island disputes, as well as analysis of the North Korea–South Korea clashes in the Yellow Sea, controversies in Japan’s relations with both Koreas and the so-called ‘history disputes’, including recognition of World War II atrocities across the region. In doing so, this book explores a range of themes from the ecological environment to the globalized nature of shipping and therein links the East Asian maritime sphere directly to the dynamics and developments in the domestic politics of each country. Thus, it serves to demonstrate how several controversial debates in the international politics of the Asia-Pacific are ultimately and inextricably intertwined. A timely contribution that furthers our understanding of contemporary politics of the Asia-Pacific, this book will be of great interest to students and scholars of Asian politics, international relations and the Asia-Pacific region in general. An excellent inter-disciplinary work that throws new light on maritime security issues in Northeast Asia. Its focus on the opposing maritime policy imperatives of China, Japan, and South Korea, and the tensions between these countries in the maritime domain is particularly useful. In this careful examination of how East Asian states perceive the sea as site of both threat and opportunity, Wirth not only provides an invaluable resource for students of regional politics and security studies. He also sheds light on the crucial role played by the sea in legitimising the modern state and securing its future. Christian Wirth is University Lecturer at Leiden University and an Adjunct Research Fellow at Griffith University. Having worked on East Asian politics for over ten years, he has published in journals such as Political Geography, Geopolitics and the Pacific Review.